We put our hearts into every job, so your home or apartment building shines like it should. Be the Envy of your Neighbours! Extreme Window Cleaning & Maintenance Pty Ltd takes extreme pride in ensuring we provide a quality cost effective service to all our clients. Have your windows cleaned to a gleaming finish both inside and outside. Do you have any difficult to reach windows? Not a problem for our professionally equipped and trained staff, we can reach any difficult to clean areas with ease. In addition to this professional service we also offer professional cleaning of your flyscreens, glass balustrade, glass pool fences, solar panels, gutters, mirrors & shower screens. Have you just built or renovated your home? Is there any building residue or paint on your beautiful new shower screens, mirrors or windows? We provide a professional Builders Clean service that involves removing all building residue or paint prior to cleaning your shower screens, mirrors and windows to a gleaming finish that you will be proud to show off in your new home or renovation. Never worry about dirty windows or blocked gutters again! As part of our commitment to you we will add you to our Free call back service. You determine the frequency (quarterly, half yearly or annually) and we simply provide you with a friendly reminder call or you can simply phone us at your convenience. All Extreme Window Cleaning and Maintenance Pty Ltd operations are covered by public liability insurance and Full Work Cover. All work undertaken by our workforce is carried out within the bounds of all Government Safety standards (Occupational Health and Safety Regulation 1985 and Incolink Safety Regulations 2000), legislation, regulations and code of practice. Worry Free Regular Window Cleaning & Maintenance Service! 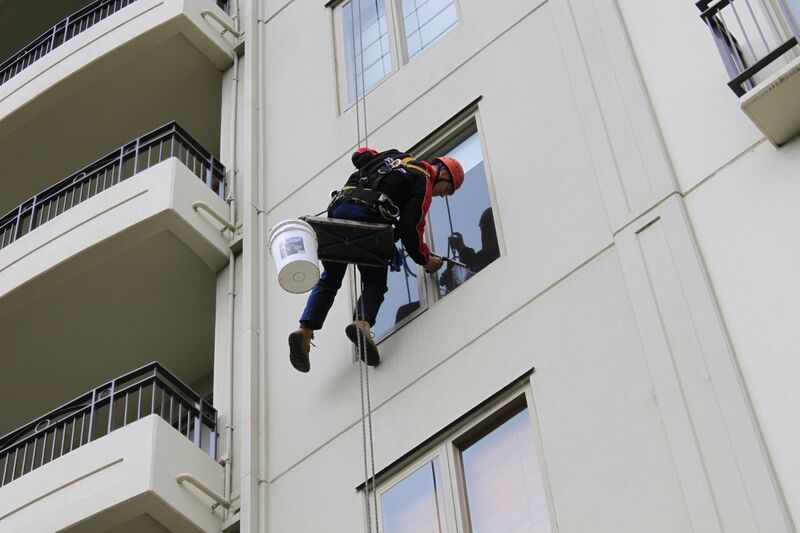 Extreme Window Cleaning & Maintenance Pty Ltd will design a maintenance program that suits your individual body corporate cleaning & maintenance needs. You determine the frequency (quarterly, half yearly or annually) and we can notify all tenants in advance of the scheduled cleaning & maintenance times. In addition to general cleaning & maintenance works Extreme Window Cleaning & Maintenance Pty Ltd also will carry out thorough lease cleans prior to the changeover of tenants or sale of the property.